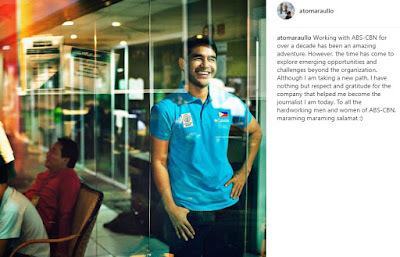 Is Atom Araullo transferring to GMA 7? 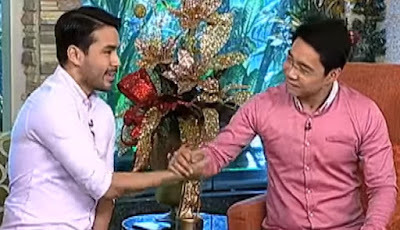 This morning on Umagang Kay Ganda (UKG), Atom Araullo bid goodbye to ABS-CBN, his home network of more than a decade. 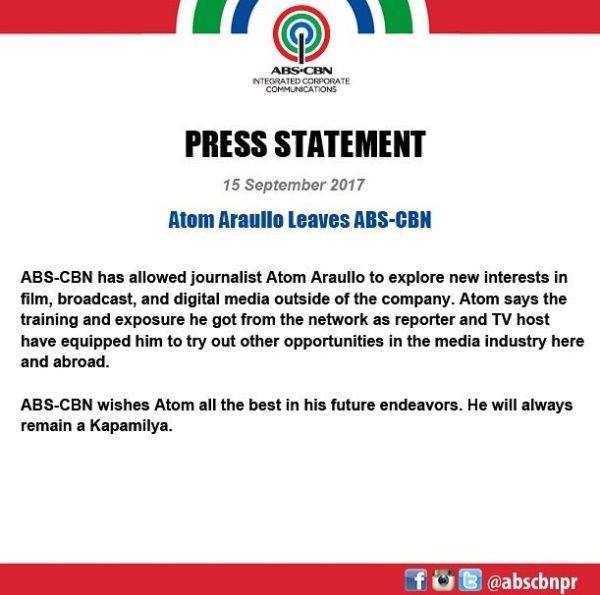 One of the most popular and handsome broadcasters in the country today, his absence will certainly be a big loss for the Kapamilya network. Anthony Taberna opened the segment saying that on UKG, they treat each other as family. This is the reason why it has never been easy whenever one of the hosts has to leave. He then, immediately turned to Atom and asked if the rumors that he is leaving is true. Atom confirmed that it was, indeed, his last day on UKG, as well as on all the shows that he has been doing on ABS-CBN. When asked why he was leaving and what his plans are, Atom joked that he plans to put up an auto repair shop and a beauty parlor. But, seriously, he said, he still has many plans and wants to try out a lot of things, although his work in the world of journalism will remain. He went on to reveal that a lot of opportunities have opened up for him these past months, mainly because of what he has done at ABS-CBN. 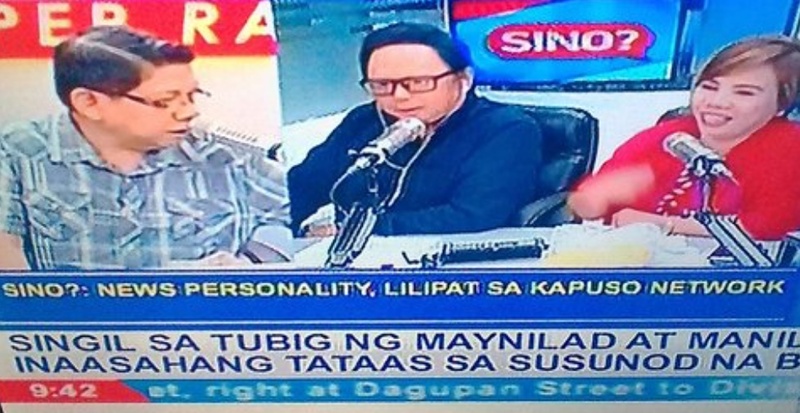 Also this morning on the "Sino?" segment of the radio program Saksi sa Dobol B, which is aired simulcast on GMA News TV, anchors Mike Enriquez, Arnold Clavio and Susan Enriquez (pitching in for Ali Sotto) talked about a blind item that was obviously referring to Atom Araullo. Arnold, who is always initiating the blind item, told of a certain news personality who is set to transfer to the Kapuso Network. The clue is that there is a letter "A" in his first name and also an "A" in his last name. 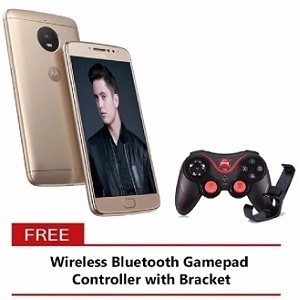 It was almost like a giveaway since Atom Araullo does have a letter A in both his first and last names. Therefore, maybe it is just a matter of hours or a few days before Atom's transfer to GMA 7 is confirmed. "Working with ABS-CBN for over a decade has been an amazing adventure. However, the time has come to explore emerging opportunities and challenges beyond the organization. Although I am taking a new path, I have nothing but respect and gratitude for the company that helped me become the journalist I am today. 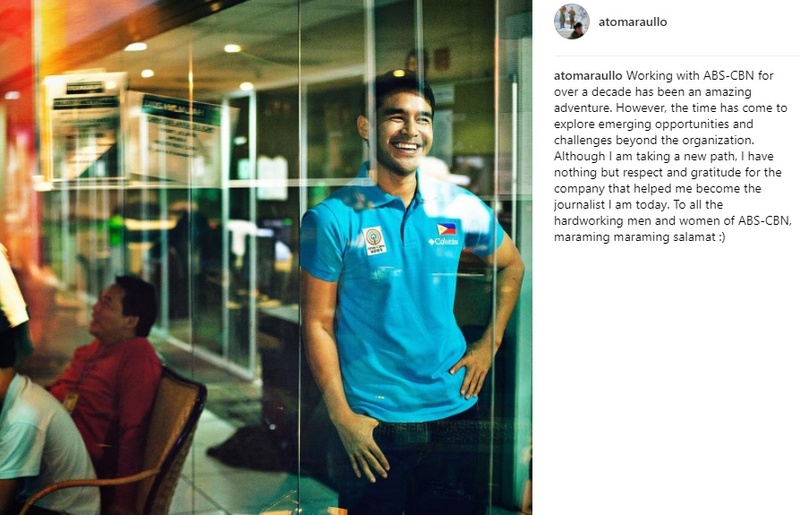 To all the hardworking men and women of ABS-CBN, maraming maraming salamat :)"
"ABS-CBN has allowed journalist Atom Araullo to explore new interest in film, broadcast and digital media outside of the company. Atom says the training and exposure he got from the network as reporter and TV host have equippied him to try out other opportunities in the media industry here and abroad. 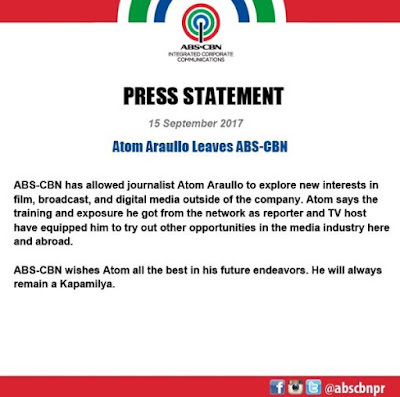 ABS-CBN wishes Atom all the best in his future endeavors. He will always remain a Kapamilya." Aside from being a journalist, Atom has recently diverted into a different field, which is that of film making. 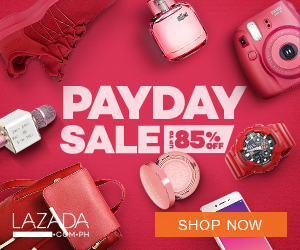 He has been tapped to play the title role of "Citizen Jake," which is the comeback movie of ace director Mike de Leon.